Whew! What a week, what a week! After enjoying a white Christmas (the first in this area since 1992), we loaded up the car and headed to L.A. (Lower Alabama). We woke up to around 2 inches of the white stuff on Sunday, and discussed whether we should leave or wait. The news reported that the interstates were fine, so we CH decided to go for it. We got about 20-25 minutes down the road, and I asked FES if he had his passport. Or any id. Or his insurance card. We doubled back, picked up his id, used the bathroom, and off we went...again. We drove in snow all the way south of Birmingham. Unusual, to say the least. Too bad it was so cold...the cabin had a screened-in porch with rocking chairs. Isn't she beautiful, all dressed up for Christmas? Oh, and to put my boys' sizes in perspective: I'm 5'9". Yes, I have big boys! We went by the new high school; it just opened this fall after being destroyed by a tornado 3 years ago. CH had to get out on the new field; luckily one of the assistant coaches (who was a former teammate) came by just as we got there. What else would you do when you're this close to Florida? Go the beach, of course! It just so happens what one of my blogging friends lives in the area, so we were able to meet up for a while! "Where's the picture?" you ask. Well, Auburnchick doesn't put pictures on her blog, so I didn't take one. I had my camera in my pocketbook, but didn't even get it out. She's the second blogger I've met. It was like we'd known each other forever. Seriously. Her husband discovered that I'm not a mass murderer, and CH was relieved that she wasn't an Armenian man who had just been released from prison. I don't think there was ever a lull in the conversation; I just wish we had more time, because I keep thinking about things I wanted to talk to her about! Guess I'll just have to make another trip down there sometime! Oh. My. The silence is absolutely golden. I'm not feeling any kind of draft as I sit in the living room. I love, love, love these windows! And, one of the best parts is the tax credit we'll get! Here's wishing everyone a Healthy and Happy New Year! Hi Mary, thank you for sharing pictures of your trip, looked wonderful and love the snow..I have met a few of my blog friends in person and I can tell you just how special that is. Have not met an axe murderer yet! Thank you for stopping by and have a wonderful 2011! 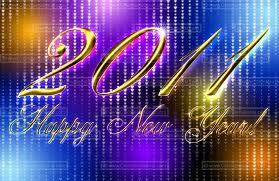 Happy New Year to you...I am predicting that 2011 is going to be our year to meet. Blessings on you and your family! Happy New Year! Enjoy your new windows. They look fantastic! I'm so glad you were able to get away this past week. Wonderful for your "student" to take in other views of our beautiful country! Wow! You do have some tall fellas in your life! Many blessings to you this new year, Mary! P.S. I LOVE your spring break countdown - never too early to start! Sounds like a great visit - a great holiday! Do we really have to go back to work?? So many things to comment on: you met a blogland friend!! (I'm jealous!) I love that you got to see the school rebuilt after the tornado. (You knew I'd like that!) That cabin looks wonderful! You had snow!! (Jealous there, too!) AND... I love the snow falling on your blog! Very cool design! So glad you had a good trip! Happy New Year. Oh Mary...you are quite funny! I am so glad we got to meet!! Your comment about the camera is too funny. I ALMOST took my big camera but decided against it at the last minute. I figured I had the camera on my phone. But, I didn't want to ask, "Wanna take a picture" and sound like a teeny-bopper. Anyhoo, I am so glad we had the chance to meet and look forward to you coming back (cause you know you wanna come down during Spring Break). Hugs to you and your amazing family!! I guess it was a White Christmas all over Tennessee - so beautiful! And I'm wondering how many non-Alabamians even know what the boll weevil is. I've picked a bit of cotton in my time, but luckily never had a close encounter of the boll weevil kind! All that snow makes me break out in hives. Thanks for commenting today. Your holiday looks absolutely perfect. (and COLD) Love that cabin view. I am so excited for you having new windows....what a great gift for you all!!! Happy New Year to you and your family Mary. Thank you so much for your kind words, you truly warm my heart. Happy New Year. Sounds like you had a nice time, even though it was cold. You are all so tall, that is awesome. We have been so cold here in Southern California. So happy about your new windows. The view looks wonderful. Sounds like you had a lovely trip!! I love meeting bloggy friends! So glad you have non-drafty windows. Mine are post WWII and ohmygoodness - VERY drafty! 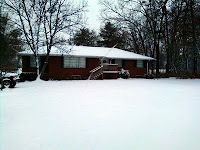 Glad the beautiful snow didn't get in the way too much and that you had a happy, safe holiday. Congrats on the nice, new windows :) HAPPY NEW YEAR! I love the aviator statue. That is a perfect representation of my husband and son. Husband is a pilot, and from the day he could look up was trying to get to fly. Son is following in his footsteps! Sounds like a wonderful time. Thanks for sharing! Happy New Year and Happy First Day back at school! Looks like a fun time--even with the cold. New windows? I would LOVE new windows--ones that don't need to be held up by scrap wood or cans of chili!